Always wanted to a Leica-ish iPhone camera case? The wait is over. For just $65 this case is yours. It comes in silver (for $70), black, white and orange. The ultimate iPhone case has just been reborn. 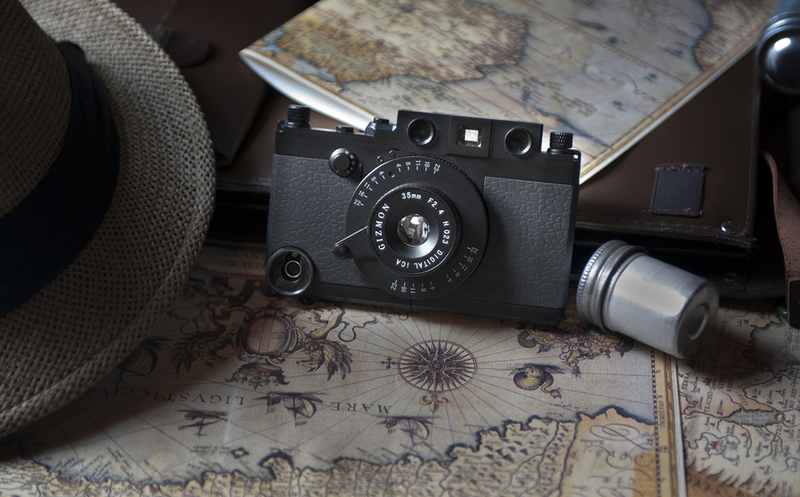 Taking you back to the days of Military Photographers and their Leica rangefinders, the iCA Military Edition has arrived in solid black. 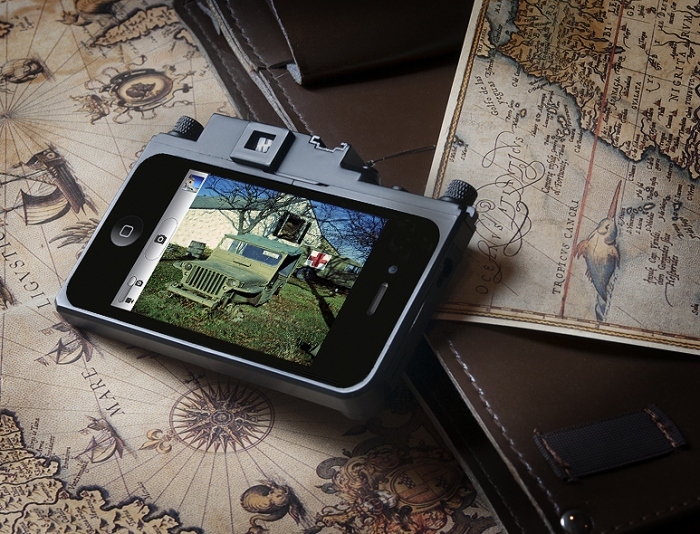 Transform your iPhone 4/s into a classic photojournalist’s rangefinder complete with viewfinder and top mounted shutter button. Attach the available wide, macro or fisheye lenses to create incredible effects unavailable in the iPhone by itself. 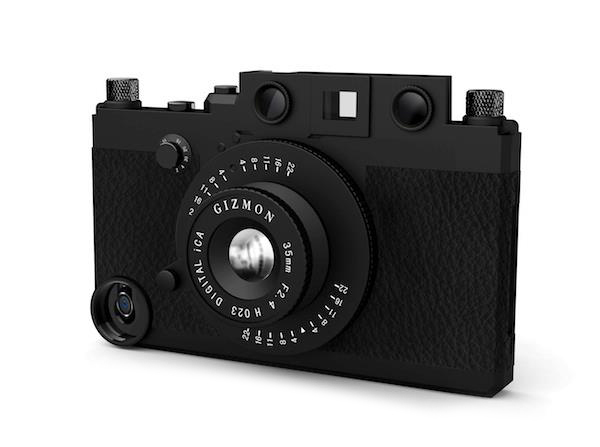 Step back in time to the days of classically proportioned cameras that fit your hand like a glove, and do it all with one product : the Gizmon iCA Military Edition. Constructed of 23 Durable Polycarbonate pieces, the Military iCA wraps itself around your iPhone completely, creating an entirely new Camera. The iCA blurs the line between phone and camera by combining them both. A detachable tripod mount is great for longer exposures and the soft fabric bag will protect the Camera when not in use. More photos and information on Leica website. It also comes in the less-awesome silver-trimmed orange, white or black for $5 less.